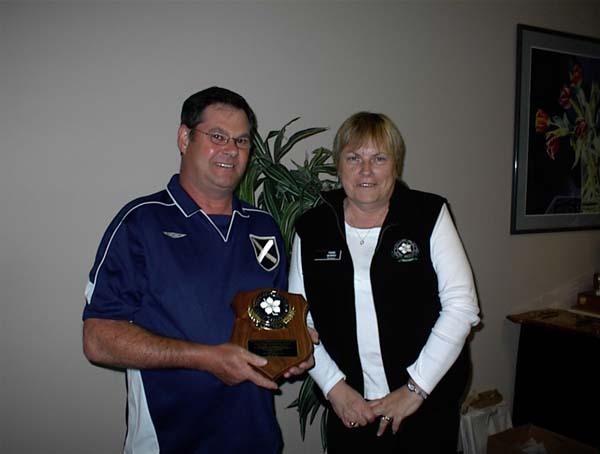 As an honour, the highest that may be bestowed by the Association, any member who has served the Association and rendered outstanding and meritorious service in accordance with Article 2.1 may be elected a honourary life member at any regular Executive Meeting of the current season and confirmed at the Annual General Meeting. Life members shall have the privilege of acting in an advisory capacity to the Executive and shall be accorded all rights and privileges of the other members. Nominations for Life Membership must be submitted in writing to the Executive, signed by a member in good standing and detail the service for which the honour is recommended. Our distinguished members who have been given this recognition are profiled below. Anita has been a committed and tireless worker with ND hockey from the early 2000's when her sons Ryan and Marcus started to play the game. She began working at the team level and soon became a Division Manager, leader and mentor at all levels of the Association. Most recently, Anita has served as our distinguished Past-President and will be leaving the board in 2017. Working alongside Anita can be difficult. She is hard to keep up to. Nobody is more organized and pays greater attention to detail. When she completes a role, she leaves behind a binder of best practices for the person lucky enough to follow her. Tournament organization, Division management, book-keeping, hockey development programs, parent's auxiliary, and hockey equipment replacement are areas Anita has carefully refined and managed. She has served as a mentor to many current leaders of the association and helped North Delta improve administrative support of players and volunteers. Anita has been recognized by North Delta Minor Hockey and Pacific Coast Amateur Hockey Association with awards for service, leadership, and sportsmanship. She remains a leader among our most dedicated and selfless volunteers. Some children and their parents may not have met Anita but every player and parent in North Delta has been touched by the work she has put into building our programs. 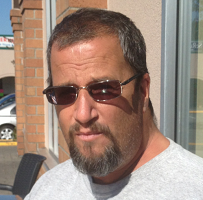 Leo first became involved with North Delta hockey in 1997 when his son Riley started playing hockey. His volunteer service includes Team Manager, Division Manager, Hockey Canada Safety Person, and Special Event Coordinator. Leo is best remembered as a long serving Board member and ice scheduler - a position he held from 1999 until 2010. He has been a source of strength and continuity in this most difficult job, and helped develop a fine working relationship between the Association and Delta municipality. After playing all his hockey in North Delta, Riley Sweeney went on to play on a scholarship for the Michigan Tech Huskies. Leo remained involved with minor hockey in an expanded role as Coach Coordinator for Pacific Coast Amateur Hockey as well as Lower Mainland Central division of BC Hockey. 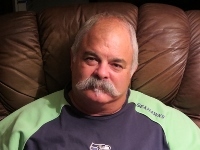 Leo Sweeney is an inspirational, dedicated, and hardworking volunteer who exemplifies the best of continuing service to our North Delta Minor Hockey volunteer community. Dave began coaching with North Delta Minor in 1985. He has remained actively involved with the association since that time serving as coach, tournament director, vice president, president and then coach again in 2001-2002. Dave initiated and built up the Trevor Buck Memorial award which serves to encourage and celebrate good sportsmanship and fun in playing the game of hockey and activities surrounding the game. 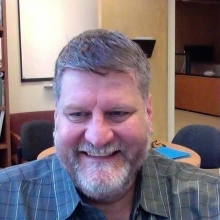 Following his extensive service to North Delta Minor Hockey, Dave took on senior leadership positions with both Pacific Coast Amateur Hockey Association (Managing Director, Vice President ,President) from 2002 to 2014 and BC Hockey (Lower Mainland District Director). In May of 2014, Dave Buck announced his retirement from minor hockey and was presented the prestigious "Gold Puck" award from Pacific Coast Amateur Hockey Association. Mr. Buck is an inspiring and humble leader who brings out the best in those around him. Angus received a Meritorious Service Award from Pacific Coast Amateur Hockey Association at the end of the 2007 hockey season. His main accomplishments at that time were based on wonderful service and support as a rep team parent. His particular interest was goalie development and the importance of equipment in making it possible for all children to progress to their potential. Angus became a legendary ND equipment manager inspiring the highest level of care for the equipment purchased by North Delta Minor Hockey. Nobody did the Equipment Manager role as well as Angus, and he retired and returned to the position several times. Angus was also the "Manager and Mentor" for many years of young coaches and players on the Juvenile A team. Everyone associated with these teams to a person respected and admired "Mr. MacLeod" who was as much a part of the team as any player. Angus has set the high water mark of leadership through service to children, young adults, and families who love hockey in North Delta. BJ Brown began coaching in North Delta in the 1982 / 83 season, prior to having sons in the league. He stayed Ã¢€‹involved for the next 4 years, until the end of the 85/86 season, when Mrs. Brown strongly suggested that he retire from the game until the boys were back involved. He returned in 1991 / 92 season, as an assistant coach. Since that time, he has been the coach, assistant coach, trainer or manager for 30 different teams, in all divisions, and including both Rep and House teams and winning several different league/playoff banners with various divisions. BJ is the proud winner of the Rep C Coach of the year in 2004, and the Sportsman of the Year in 2014. He is a long-standing NDMHA executive member having served for over seven years as a Divisional Manager Ã¢€‹beginning mid way through the 2003/04 season when the sitting DM resigned, and missing a couple (including the 2009 / 10 season due to the Olympics). When asked about his proudest accomplishment as a minor hockey voluneer, BJ noted that at least 20 of the young persons that he has coached over the years have come back to themselves coach in the NDMHA. This insures "the tired old lines and clichÃƒ©s that I once used" are inflicted on an entirely new generation. BJ is known for his dry sense of humour, sportsmanship, love of the game, and mentorship of the North Delta hockey community. Dr. David Paterson began volunteering in 2002 when his son Matthew started playing hockey. His volunteer role like most people started at the team level. 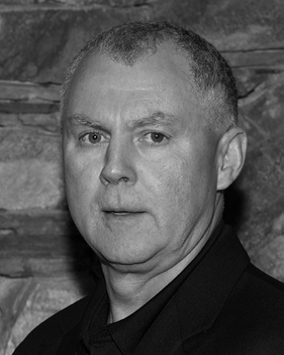 In 2004 he was appointed the Associations Ombudsman for one year. In 2005 he was elected into the role of 2nd Vice President, which gave him the tools to become President in 2007. During his reign he was instrumental in ensuring that Policies and Procedures were developed for the Association which to this day provides guidance to all future Board members. In 2010, Dr. Paterson retired as President and was Past president until May 2015. His assistance, strength, knowledge and guidance were instrumental in assisting the Board during two very overwhelming times for Association. Dr. Paterson has been a member of the Pacific Coast Amateur Hockey Association Appeals committee since he retired as NDMHA President. 1. Accepting the 2008 Frank Spring Minor Hockey Association of the Year award from BC Hockey on behalf of NDMHA. It was a chance to feel pride in every member of our association who worked tirelessly together to make positive life memories for children around the great game of hockey. 2. A second point of ND Hockey pride is more personal. The day I was asked to speak at the celebration of life for a great friend of North Delta Minor Hockey, Leo Sweeney.